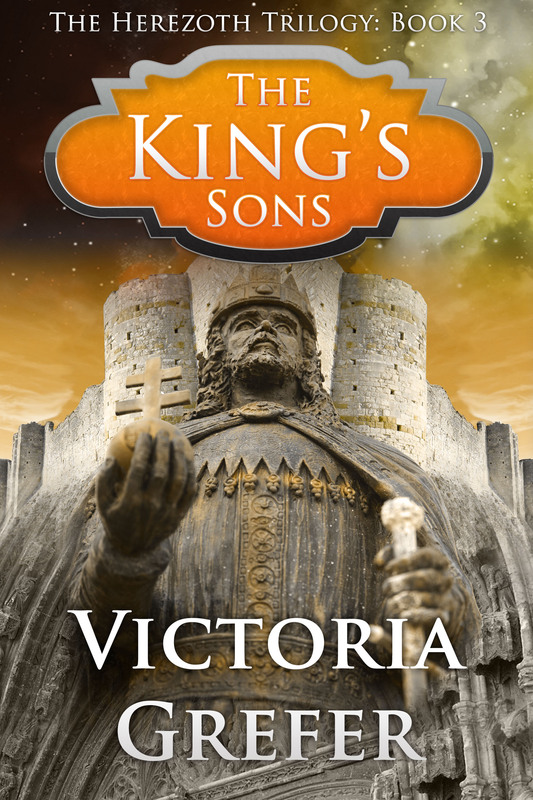 Soon, Six Sentence Sunday posts will start focusing on “The King’s Sons,” Book III in the Herezoth Trilogy set to release on May 31. 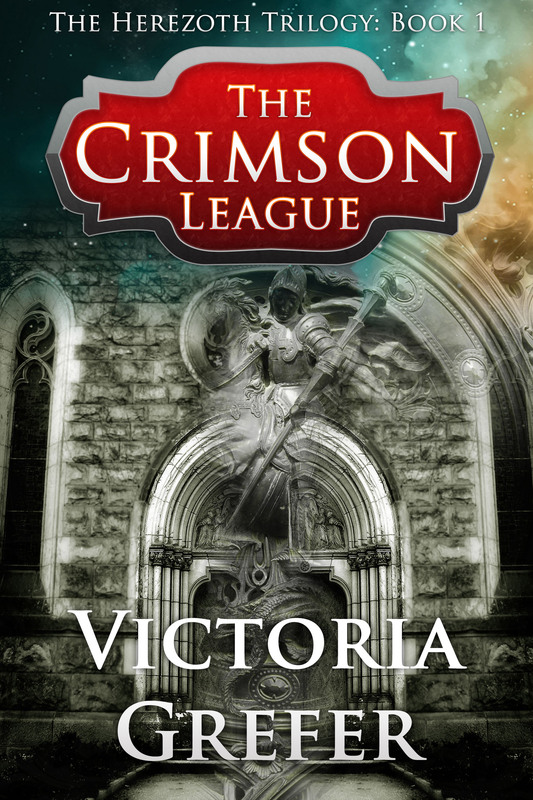 Today, though, I’m highlighting “The Crimson League,” which will be FREE on amazon.com tomorrow, April 22, through April 24. This is the perfect opportunity to download Book I and catch up on what’s happening in the trilogy so you can snag the final installment at release time! “The Crimson League” tells the story of teen sorceress, Kora Porteg, and her fight against Herezoth’s sorcerer-dictator, Zalski Forzythe. But how, exactly, does Zalski judge the opposition? The statement caught the younger sorceress off-guard, but she said, “I’m Kora, yes.” With a grimace, Wilhem forced himself to stand straighter. Make sure you catch “The Crimson League” tomorrow, while it’s free. And please, spread the word to your reader friends and fantasy fans who might be interested! Harry Potter was a huge influence on the Herezoth novels, and reviews have compared “The Crimson League” to “The Hunger Games,” so fans of those franchises should really enjoy taking a trip to Herezoth. Categories: Short Stories and Poems | Permalink. Today’s Saturday Snippet is from “The Crimson League.” Book I in the Herezoth trilogy is on sale through Monday for just 99 cents, so make sure to grab it while you can. In this segment, protagonist Kora has a nasty nightmare the day she joins the resistance movement fighting against sorcerer-dictator Zalski Forzythe. It took Kora hours to fall asleep. When she finally dozed off she dreamed she sat in a dungeon, her wrists shackled to the wall. The lieutenant who had whipped Sedder that morning walked up to her, his lips curled. Kora’s voice was only a gargle, so she resorted to shaking her head as definitively as she could. Kora pulled against her shackles. Zacry’s terror-stricken eyes bore into his sister’s. The lieutenant nodded grimly. “Kill him anyway,” he directed. Kora woke in a cold sweat as Zacry’s blood pooled at her feet. The ground was so hard, she thought for a moment she actually was in a dungeon. Then her panic subsided, her memory came back to her, and she knew she would sleep no more that night. She crept from the chamber and toward the front of the cave. Right away she saw a beam of moonlight, a single thin beam, and knew that someone had removed the top stones that blocked the entrance. That someone was Lanokas, sitting near the ash pile. He stared into the night, or early morning now, a blanket wrapped about him to fend off autumn’s chill. A few feet away stood the pitcher he had gone to fill from the nearest well after dinner. He waved his hand at it with two swift, steady motions. It rose into the air and flew toward him. Lanokas jumped, glancing over his shoulder. He nearly spilled the water. “You’re awake,” he said. “You had a long day.” Lanokas motioned for her to take a seat beside him, near the remnants of the fire. Kora settled herself to the ground while he waved two glasses over from the wall and filled one for her. He offered the blanket as well, but Kora felt feverish, her heart racing as though she had run the distance between the cave and home. Home…. She mustn’t think of that. She used her bandana to wipe her moist forehead. “Are you a sorcerer?” she asked. Hey everyone! I’m really stoked to take a brief break today from my normal blogging schedule to announce the release date and reveal the cover of “The King’s Sons,” book 3 in the Herezoth trilogy. I’m particularly excited because–being unemployed and all–I’ve had lots of time to work with the proof copy and am well on my way to concluding final edits. So, I’ll be able to release a lot sooner than my original internal projections, which put me around August or September. I am a huge Crimson Tide football fan: that’s why I titled my the first novel in my fantasy trilogy about Herezoth “The Crimson League.” Check out this short story. If you want more info about my novel, click the appropriate link above! Tilting and horsemanship had two afternoons a week, because they were the most important branches of a gentleman’s education in those days. Merlyn grumbled about athletics, saying that nowadays people seemed to think that you were an educated man if you could knock another man off a horse and that the craze for games was the ruin of scholarship—nobody got scholarships like they used to do when he was a boy, and all the public schools had been forced to lower their standards—but Sir Ector, who was an old tilting blue, said that the Battle of Crécy had been won upon the playing fields of Camelot. This made Merlyn so furious that he gave Sir Ector rheumatism two nights running before he relented. Some t-shirts speak the truth. At least, that hypothesis could be inferred from the t-shirts worn mainly by the Greek students—Tuscaloosa is a drinking town with a football problem, in the same way that White’s Merlyn considered Gramarye to have a jousting and tournament problem. Since the University of Alabama student body ranks among the Crimson Tide’s most rabid fans, to have open seating in the student section of Bryant-Denny Stadium carries one main disadvantage: the need to arrive almost two hours before kickoff to snag a spot to the right of the band near the twenty yardline. You could make that two and half hours for important match-ups, or for rivalry games against Tennessee, Auburn, and LSU. Saturday afternoons are far from moderate, temperature-wise, in mid-September if you study in the Deep South. The humid heat was a second annoyance, and not a mild one. The game this particular Saturday was at two o’clock and considered a sure victory—the opponent was Louisiana-Monroe—so Virginia Bergeron and her friends waited to enter the stadium until 12:30. They had no trouble finding seats. As they slid along the bleachers of row 50, section EE, a gaping hope on their left to mark where the Million Dollar Band would eventually file in, the announcer proclaimed with indecent enthusiasm: “The countdown to kickoff has begun! Ninety minutes until Alabama-Louisiana Monroe!” The scoreboard timers, which had previously been frozen at 90:00, began to tick down. The students cheered. Only ninety more minutes of boredom! (The boredom was another annoyance caused by open seating). Virginia tore her eyes from the group of students in the front row slathered with crimson paint. “So call him,” she said, though he did not. “We agreed we two would not discuss my Tigers,” Virginia reminded him. The topic of the LSU Bayou Bengals seemed to threaten their friendship every time it reared its head. Mark shuffled the cards. He had already eaten lunch. Virginia gave Jeremy money for nachos and a Coke, and when he got back Mark dealt a round of rummy. The bleachers were still empty enough that the three could play without bothering a soul. Jeremy won resoundingly. “What’s your paper about?” he asked Mark. “It’s violent as hell,” said Virginia. Jeremy and Mark high-fived each other, stretching in front of Virginia, who crossed her arms with a scowl. “Have you tried T. H. White?” Jeremy asked. “The Once and Future King?” Virginia had not. Mark faked a British accent. James had arrived much earlier than usual, with Anne, his girlfriend of six months and a close friend of Virginia’s, in tow. Virginia had been the one to introduce them. In addition to a purse, Anne carried five crimson and white shakers that she had grabbed out of habit from one of the boxes near the stadium entrance—the others always walked right past them. She and James settled into row 49. Jeremy shrugged his shoulders. “Roll tide,” he said, returning to his hotdog. James tossed him a shaker too, and Jeremy dropped his lunch. Roll tide, if you happen to be unfamiliar with the state of Alabama, is a versatile expression and a safe one to employ on almost any occasion in the Tuscaloosa region. Collectively—that is, culturally—it may punctuate fragments or sentences as an interjection, similar to the way King Pellinore uses “What?” in The Once and Future King. “Roll tide” is a proper way to excuse boorish manners, to shrug off an unfortunate occurrence, or to celebrate a lucky one. For instance, if you are with your roommate in the library to make flashcards to prepare for an upcoming Spanish or French exam, and you realize that you left the apartment without a pencil but that your roommate has two or three pens out, and you take one of the extra pens without asking, and your roommate catches you and sends you a dirty look, you can say, “Roll tide”—or whisper it. You are in the library, after all. Statistics show that in roughly 97.8% percent of cases all would be forgiven. If later you forget to use your flashcards and you fail your test as a result, you friends might tell you “Roll tide” in consolation. Or, on the other hand, if you do remember the flash cards and do quite well, you may pull out your cellphone and text your best friend to say, “I aced my exam!” Here too, “Roll tide” is an appropriate congratulatory response. This may seem contradictory, but the pragmatics of language often are. In Tuscaloosa, “Roll tide” may also be used as both a greeting and dismissal. Just never say “Roll tide” if you go to Auburn, Alabama. If you must go there, and you must say “Roll tide,” try to pronounce the “Roll” like “War” and the “Tide” like “Eagle.” A nasty feud exists between the cities of Tuscaloosa and Auburn. It is not exactly as bloody as the feud between the Orkney faction and Pellinore’s family in T.H. White’s book, but it is still unpleasant and you would do better not to embarrass yourself. Looking at Anne, Virginia remembered that she and Mark were in the same English class. “Your paper’s done,” Virginia guessed. She caught a shaker from James with one hand as he left to get something to drink. “You got somethin’ to turn in, if worst comes to worst,” Jeremy told her. “That I do. I guess I do,” Anne added as an afterthought. Jeremy was always saying Anne took classes too seriously, which made Virginia shake her head, as Jeremy spent quite a bit of quality time holed up with his physics book. Physics did not come as easily to him as calculus. He was better with pure math. Hey Monroe! Hey Monroe! Hey Monroe—we’re gonna beat the hell outta you! Rammer Jammer, Yellowhammer, give ‘em hell Alabama! This cheer is well-known among the Bama faithful, so well known that when Warren St. John wrote a book about what Merlyn repeatedly calls “games mania” and the forms it takes in the twenty-first century, using Crimson Tide fans as an example of some of the most far-gone fans you can find, he titled the work “Rammer Jammer.” The yellowhammer of the chant is a reference to Alabama’s state bird. Unfortunately, the year was 2006, not 2000, and the university had officially banned pre-game usage of the Rammer Jammer. The high-ups in administration considered it embarrassing and unsporting. The students could only maintain the tradition post-game, after victories, when “We’re gonna beat the hell outta you” becomes “We just beat the hell outta you.” The tragedy of the change is that the post-game line is not always accurate. Many games of American football are hard-fought battles with a close score all the way; they come down to the final minutes, even seconds, of a full hour of playing time. Sometimes a team plays with greater pluck and grit than its opponent but still manages to score fewer points. When this happens, no one gets the hell beat out of them, technically speaking. But the Rammer Jammer must be sung. Alabama, interestingly enough, would go on to lose that game against Louisiana-Monroe, and lose it badly. The match should have been a certain victory. The fans of the Crimson Tide were confused, and angry, and sad, all at once, rather like Guenever and Arthur after Lancelot returned from the quest for the Grail to recount his numerous defeats, he who had always before known only triumph. The king and queen tried to excuse the fall that Lancelot’s son had given his father. Arthur assumed that Galahad had launched a surprise attack and reasoned that “Naturally you would not want to beat your son.” Arthur thought that Lancelot had not really tried to win. Guenever asserted, “Everyone has to be unlucky sometimes.” Human nature seems to be drawn to sport, to the thrill of triumph, and for centuries has used the concepts of fate, punishment, or bad fortune to explain great failures. In athletics, defeat is always a possibility. Luck, as Guenever notes, is always a variable, and an uncontrollable one, in any competition and on any college football Saturday. Perhaps it is this variable that makes old Merlyn’s loathed “games mania” as powerful a force as it always has been: the passion arises from the certain knowledge that victory never is certain. In any case, Virginia was so disgusted by the Tide’s lackluster performance that her heart was not in the LSU game that night. Mark was in such a temper that he did make it across the hall to watch the match with her after all. Categories: Short Stories and Poems | Tags: Alabama, American football, Arthurian legend, Bama football, knights, roll tide, short story | Permalink. Half-gallon of skim milk, frozen waffles, five pounds of sugar…that last would have to go in a different bag, Casey knew. She checked her watch: 3:10. Had she really only been at work an hour? She was stuck here until nine. Bagging groceries was bad enough on a normal day in New Orleans, but on July 3 the number of people who came to Jackson Food Center was boggling. And almost all of them bought the exact same things. Casey glanced at the conveyor belt, where a middle-aged couple was loading— yes, she knew it—ground beef, hot dogs, sausage links, and buns. Potato chips and a watermelon were likely to follow. God, could Americans be any more predictable? Did anyone do something besides barbeque on the Fourth of July? Yes, Casey told herself. They drank. She had bagged so many bottles that day…. In New Orleans, liquor was sold in the grocery stores along wine and beer, and every time an order with lots of bottles came through, Casey had to leave to fetch a winebox, with slots to keep the bottles separated, so the glass wouldn’t break. Every register in the store was open, and there were still lines four or five people deep by all of them. Casey was bagging at Danielle’s register. Danielle had just graduated from Casey’s high school, while Casey was set to start her senior year come August, but they never talked much. In fact, Casey hated bagging for Danielle, as Danielle was a grade A brat whose voice was extremely annoying when she complained. Which she did all the time. Today, though, it wouldn’t make much difference whom Casey bagged for; the store would be packed until closing, no time to do anything but work. Casey placed the last bag of food (Jackson Food Center only used paper) in the cart that her current customers pushed forward. The woman walked up as her husband ran his debit card through the machine. The woman didn’t say another word. With what was horribly close to a sneer distorting her face, she wheeled her grocery cart out the door. Casey sighed as the first items of the next order came flying down to her. People are damn inconsiderate, that’s the problem with the world. She’d been working at Jackson’s for a month and already six people had asked her to unpack all their groceries and put them in double bags. Casey worked for the next half-hour without a break, but without any problems coming up. Then came a woman with a basket full of groceries wearing heels, pearls, and an Ann Taylor dress. “All right,” said Casey. The first few items came to her: cookies, chips, bread. She put them in their own bag in the cart’s baby seat so they wouldn’t get smushed. Then came two-liter drinks, canned goods, and Herbal Essences shampoo, followed by…. “Here come the cold items,” said the woman. “Bag them together.” Casey gritted her teeth. Generally, someone who’d been living for seventeen years knew that milk, cheese, and popsicles were cold. People weren’t stupid because she worked in a grocery store. In Casey’s case, her chances of going to college on a scholarship were actually pretty decent. At 5:00 she got half an hour for dinner, and took her customary ham sandwich to the break room. Her friend James was there; he worked in the meat department. He glanced up when Casey pulled a seat from his table. “Thank God for cell phones,” he said. James looked at his watch. “Damn, I’m late! I gotta get back. Enjoy your break.” He hurried off, leaving Casey alone with her sandwich. Casey’s first customer when she returned to work was an older man, with a full head of pearly white hair. “Can you double bag my order?” he asked. Danielle slid the first of his groceries, a box of Cheerios, to the bagging area of the register. “No problem,” said Casey. Finally, she thought, someone with sense. “Yep,” said the man. “Full-blooded Italian.” And he winked. Casey laughed. When she had finished with his order and he’d paid, he told her to enjoy her holiday. “You too,” she said, and he left the store.Casey’s next customer was a woman with a little boy. He was sitting in the pull-down child seat in the buggy with a sippy cup. His mother looked to be thirty, maybe thirty-five judging by a laugh line near her mouth. Toward the end of her order, Danielle sent two bags of M&M’s down to Casey. “Do you want these for your purse?” Casey asked. “I’m off tomorrow,” said Casey. Danielle said she worked until eleven a.m., when the store would close early. The M&M lady left, and as good a turn as the day had taken, Casey almost groaned audibly when she saw the next person in line. It wasn’t the person that bugged her—she was an old woman who didn’t look particularly senile. Her cart, however, was almost overflowing with food. On such a busy day the order seemed never-ending, but finally Casey bagged the last container of ground beef. The woman’s voice was scratchy. “You need to help me to my car,” she told Casey. Casey just stared at her. Loading groceries into vehicles was part of her job, but the way the old woman demanded it threw her completely off guard. “Of course,” she said a moment later, and giving Danielle a heads-up—Danielle didn’t look pleased, as she would have to bag as well as run the register for a while—Casey followed the woman out the front doors. Casey felt like she was sweating the moment she stepped outside of the air-conditioning. “It must be a hundred degrees,” she thought. The old woman barked, “My car’s over here,” and popped the trunk of an ancient brown Oldsmobile. And that was as much as she did to help Casey with the groceries: pop the trunk. She turned the engine on and sat in the driver’s seat as Casey placed every single bag into her car. Casey knew better than to expect a tip, though most people who asked her to help them to the car gave at least a couple bucks. The woman didn’t even tell her thank you. She drove away without any sign of acknowledgement. Casey muttered, “I hope your eggs all break, you old crone.” She headed back into the store, but stopped when she felt a rustling in her pocket. It was her bag of M&M’s, and she tore it open. 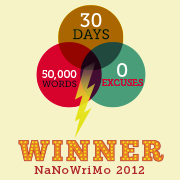 Categories: Short Stories and Poems | Tags: grocery store, holiday, short story, work | Permalink. A sonnet appears in “The Crimson League,” one written by a supposed classic poet of Herezoth named Trenzelag. The novel gives no information about Trenzelag, because it’s simply too far outside the scope of the story, but I imagine the poet as a young sorcerer warrior during the time of the ancients (when names in Herezoth were even weirder than they are at the time of “The Crimson League.”) He had a noble-born lady love who spurned him. As a master of both arms and letters, Trenzelag would be a really fascinating guy! Anyways, here’s that sonnet. Sweet lies he speaks whene’er he opes his lips. As lines of fair deceit with skill he quips. Entreating me to lower fast-held sword. And now am but Love’s captive, he my lord. For sake of dreams Love’s slave I did become. For, love’s accomplice both, they reason numbed. But slave must I remain to treach’rous three. I answer you with confidence, with nod. In light of day I must not let it bask. The sharpness of such pain I ne’er conceived. Thus stands my love, thus so shall it remain. With spirit sick and heart supremely sore. In how I look at her, in what I say? For her would I now give my life away? She shall ignore me, leave my soul to rot. Which explanation should I deem the worse? Whiche’er be truth, I fear my love is cursed. Categories: Short Stories and Poems | Tags: love, Neslan, poetry, sonnets, The Crimson League, writing | Permalink. In a creative writing class back in college (Roll Tide! ), we had the assignment to write something as horribly cliché as possible. I had completely forgotten about this until I found it on my hard drive. I was laughing out loud reading it again! Thought you guys might as well. It’s so bad (purposefully) that I actually am kind of proud of it! Jackie raised her sharp blue eyes to Michael’s eyes of hazel, folding her arms across her chest. Her flip flop had fallen off her foot, and her toes curled around blades of tall green grass. It was a beautiful afternoon in the park while they ate a picnic lunch of fried chicken. Jackie looked at him incredulously. “Then don’t run at all,” said Jackie. “Goodbye, my love,” he murmured as she walked away. Categories: Short Stories and Poems | Tags: break up story, cliche, funny, short story, writing | Permalink. The big day is here! Get "The King's Sons" now!